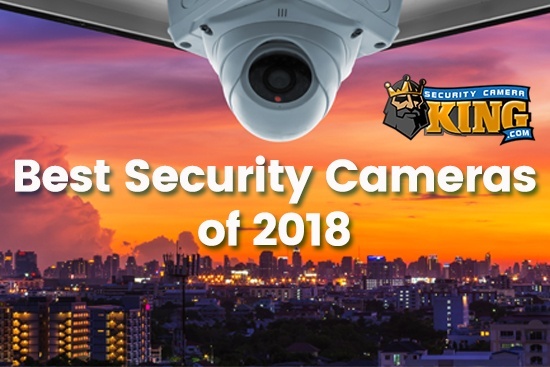 There are very few things in the digital video security and surveillance system industry that are more versatile than a Pan-Tilt-Zoom or PTZ Web camera. 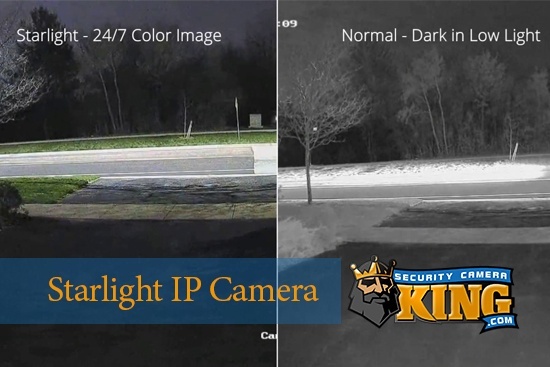 These cameras merge the technological wonders of digital cameras with the speed and omnipresence of the Internet to yield an inexpensive, versatile monitoring tool. There are basically two types of PTZ, one where a small motor moves the camera horizontally or vertically and zooms remotely or electronic PTZ which is truly electronic – no motors, it just a digital PTZ. Our main concern for this article is the first example mentioned; cameras designed with built-in motors to move the lens horizontally and vertically and also another small motor to move the lens for small or wide shots. The alternative to this is digital PTZ. Using this method the camera is aimed at the general area that needs to be monitored and the digital controls make changes within the field of view that allow you to Pan-Tilt-Zoom. Some cameras may contain both digital PTZ and the motorized type of PTZ. A PTZ Web camera has two great features that make it an incredibly versatile piece of equipment. Sometimes two PTZ Web cameras is all you need to do the job of 4 or more stationary cameras. A good example is a customer who bought two PTZ Web cameras from us to use for construction surveillance. Before they begin construction the first thing they do is set the poles for the two cameras. Based on his comments, they haven’t needed more than the two PTZ Web Cameras yet. A PTZ Web camera can Pan (move horizontally usually in at least 180 degrees if not a full 360), Tilt (move vertically usually through 180 degrees of movement), and Zoom (enlarge the shot so as to magnify distant objects so they are bigger and show detail). 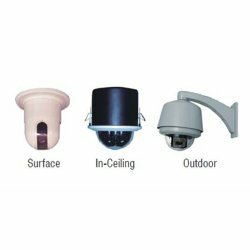 These cameras are great for perimeter use, parking lots and parking garages, store or other commercial business parking areas, and just about anywhere you need to place a camera that needs to cover more area that just its own initial field of view. In addition to PTZ many of these cameras come with built in “track and follow” technology. That means that a PTZ Web camera can actually detect motion from a vehicle or a person entering its field of view and the track or follow and zoom in on that object to obtain the best view. The camera will follow the object as long as it is in the PTZ total field of view. The second feature of a PTZ Web camera that makes it so versatile is the fact that it is an IP (Internet Protocol) ready camera that can be easily connected to broadband Internet service and accesses just about anywhere in the world there is Internet access including 3G and 4G cell phones. With this technology, you could be in Japan and your home and security system could be in Florida and from Japan you could monitor your camera and manually use the PTZ functions all from a smartphone. PTZ Web cameras can also be collectively networked which means that if you have PTZ Web cameras that are IP ready and are located in different locations (distance between the two cameras doesn’t really matter as they are being networked through the Internet) you can treat them as though they are all part of one system. Instead of using a Digital Video Recorder (DVR) you use a Network Video Recorder (NVR) to record, access, monitor and control your cameras. 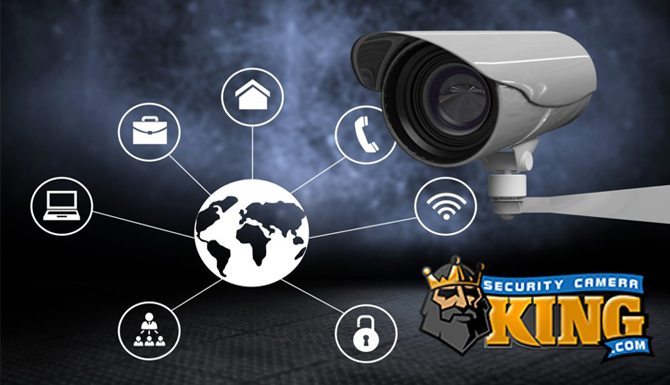 It is important to note here that Security Camera King features 4 different DVRs, the Elite-Mini Economy, the Elite-Mini HD, the Elite series, and the Ultimate series. All of these DVRs have Web server and Internet technology built right into the unit so you can do the same type of networking with these cameras that you could with a more expensive PTZ Web camera. However, cameras could not be placed in different locations that are miles away. In this type of system all the cameras on your DVR (such as a home system) would be accessible. But you could access these cameras just like the PTZ Web camera without the added cost of an NVR and without the need for a Web ready camera. As you can see the power and versatility of a PTZ Web camera is nearly unimaginable. Coupled with the use of the Internet for networking there is almost no limit to this system’s capabilities.